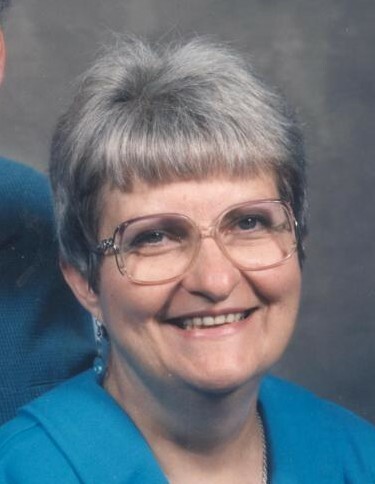 Ellen J. Trowbridge, 81, of Columbus and formerly of Dupont, passed away at 7:40 a.m. on Thursday, January 31, 2019, at her residence. A funeral service will be conducted at 11:00 a.m. on Tuesday, February 5, 2019, at Sawyer-Pickett Funeral & Cremation Service. Rev. Robert Lay will officiate. Visitation will be from 4:00 – 8:00 p.m. on Monday, February 4, 2019 and from 10:00 a.m. until time of service on Tuesday. Burial will be in Dupont Cemetery. Born March 3, 1937, in Madison, Ellen was the daughter of John Clifford and Dora Elizabeth (Crutchlow) Hans. She married Glen E. Trowbridge on February 1, 1957 and he preceded her in death on October 3, 2011. She was the child care manager of Children Inc. for 32 years. She was a member of Graham Presbyterian Church and enjoyed singing, dancing, sewing, crocheting and spending time with her family. Ellen is survived by two daughters, Teresa Moody of Columbus and Cheryl (Rick) Vance of Dupont; son, Mark (Debbie) Trowbridge of Elizabethtown; grandchildren, Geoffrey (Stacie) Moody, Samantha (Nathan) Baker, Lisa Vance, Andrea (Greg) Chatham, Jordan (Joshua) Westmoreland, Jessica (Michael) Yost and Christian Trowbridge; and 14 great-grandchildren. She was preceded in death by her parents; her husband; and two brothers, Bill and Richard Hans. Memorials may be made through the funeral home to Our Hospice of South Central IN or the Elizabethtown Volunteer Fire Department.